Lürzer's Archive - How to win the Super Bowl! Michael Weinzettl on the commercials featured during the Super Bowl LII and why the Tide Campaign owned them all. All eyes of the advertising industry were on the Super Bowl LII last weekend, held in Minneapolis, where the Philadelphia Eagles surprisingly defeated the New England Patriots (Boston). Not so much on the game itself of course but on the commercial breaks. They once again set new records in terms of huge productions which ran at an estimated cost of about $5 million per 30 seconds. We got to see the usual multi-million dollar extravaganzas that featured just about every famous name in show business there is at the moment. Finally, however, in viewers' as well as ad experts' favors there was one brand that totally owned the ad breaks due to a conceit that seemed to me nothing less than genius. It was Saatchi & Saatchi New York’s “It’s a Tide Ad” campaign that turned out to be the winner of the Super Bowl's commercial breaks, so popular in fact that you had to go back at least seven years (to the Volkswagen "Darth Vader" from 2011) to find a Super Bowl spot that rivaled the wildly enthusiastic feedback the Tide campaign received. It was promptly awarded the Super Clio, in which the Cllio Awards honor the game's best ad campaign. A very clever concept that could be called "meta-advertising," it consisted of four ads totaling one minute and thirty seconds that attempted to make every Super Bowl ad look like a Tide ad – at least every single ad in which people wore clean clothes, which – let's face it – is just about every spot. Starting out like stereotypical Super Bowl ads, each of the four spots turned out to be advertising the Procter & Gamble washing detergent. The series was directed by Traktor via Rattling Stick and featured, among others "Stranger Things" star David Harbour. It also brought back Isaiah Mustafa, better known as Old Spice's "The Man Your Man Should Smell Like!" 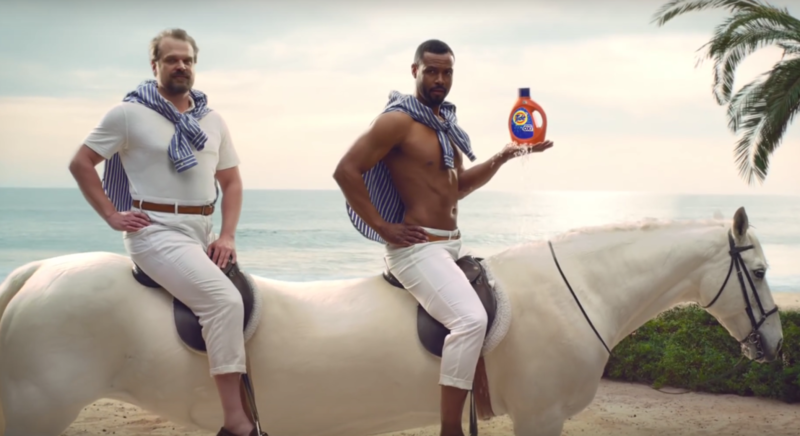 The other two Tide spots referred to last year's Mr. Clean ad (another P&G brand) and mocked a typical pharmaceutical commercial. Tide even managed to include an old stalwart, the Budweiser Clydesdale, into one of the ads (which actually ran ahead of this year's effort by Budweiser.) So in the end, TV viewers were more or less left with the impression that ALL the ads they saw in the commercial breaks were in fact for Tide. 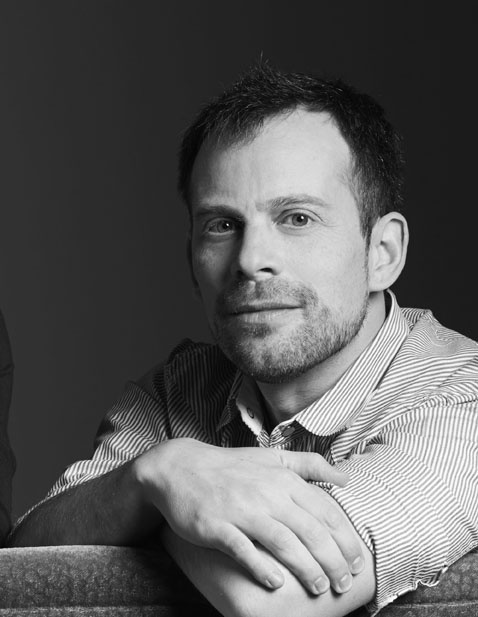 I queried Javier Campopiano CCO of Saatchi & Saatchi New York (who we talked to in our interview of Vol. 2/2014) about this advertising coup, the likes of which we've not seen in recent memory. Hello Javier, congrats to the success you had with your Tide Super Bowl campaign. How did you guys come up with this amazing idea? Javier Campopiano: We were really trying to beat what we did last year, and come up with an idea that could feel again more like a "program" and not just a simple TV commercial. That's what we call internally an idea bigger than an ad. And the client was totally on the same page. We knew that if we succeed at that our chances of winning the night were really high, which is what you want to achieve in the end at the Super Bowl. That's how we got to this notion that any ad that portrays people in clean, impeccable clothes, could be a Tide ad. We all immediately felt that it was that "thing" we were looking for. An idea that could allow us to own the whole Super Bowl commercial break if executed properly, and put people to think if the next ad would be a Tide ad or not. What was the production like? Javier Campopiano: It was crazy, with so many moving parts. We were lucky enough to count with an amazing actor like David Harbour, and we tapped into Traktor to direct it once again. And it was key, because the nature of the idea required a great versatility to bring to life all those different vignettes and ad genres. We also had to recreate one of the most beloved spots in the history of advertising, the Man from Old Spice, and infiltrate it with our idea. We had to match footage from Mr. Clean and make people think that they were seeing that spot again, and then surprise them with David replacing the character. The level of complexity was really high, probably the highest I had to deal with on my career for a broadcast production. Did you have any idea the campaign would meet with such an incredibly positive feedback? Javier Campopiano: We were hoping it would! And we certainly knew that if the stars aligned it could do really well. I had my concerns around the "meta" element of the idea, but that was exactly what people got immediately, and they started playing with it on Twitter really quickly. There were comments like "I just realized my life is a Tide Ad", and that was exactly the kind of reaction we were expecting to get. It was one of those (few) moments in your career where something just works exactly as it was supposed to. Amazing. It’s Yet Another Tide Ad. It’s Yet Another Tide Ad, Again. Javier Campopiano, CCO of Saatchi & Saatchi New York.